They are not as spectacular as the Brazilians, not as experienced as the Spanish, Latvians or Americans, not as tall as the Dutch. But they have an incredible skill level and they play it Nordic-style: calm, cool, confident and clean. Anders Mol and Christian Sorum are currently playing one level above all other teams. And their opponents haven’t figured them out. 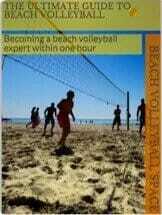 No other team has yet found a game plan to stop the youngsters who are conquering the beach volleyball world at incredible speed. And they are not even playing close matches against the world elite. In their last three finals, the Norwegians easily beat Spain’s Herrera/Gavira in Gstaad (21:18, 21:12), Latvia’s Samoilovs/Smedins in the Hague (21:17, 21:13) and Poland’s Fijalek/Bryl in Vienna (21:12, 21:17). Normally you would build a team by putting together a young and an experienced player. But these Norwegians are both young and inexperienced. At the same time they play with a confidence as if they could win every point. Looking like the nice “guys next door”, one might be tempted to not take them seriously. But after winning almost 20 consecutive matches, 2 Majors and the European Championships, they have disrupted the beach volleyball world. From this Monday, Anders Mol and Christian Sorum are leading the FIVB world ranking. Who will be able to stop them?